I am not in the Left, Right or Center. Equally I hate mean politics in Indian Academia which have been prevalent for ages. 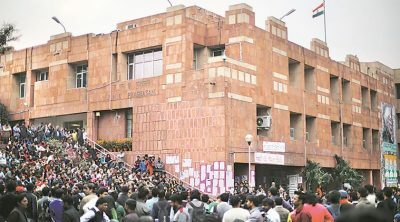 I am watching the developments taking place in one of the top Universities of India, JNU. No civilized citizen will call it a happy development. Now let us see who studies in JNU. The majority are good students with poor backgrounds who come here to study at one of the best places for studies. Now let us see what happens to them. They come in touch with the vibrant, open and extrovert culture of JNU where they either fall in love with a girl, or come into contact with local political leaders to realize their dream and get an easy way into power and politics. In the name of fighting for the poor, poverty and pain, they themselves become rich and celebrities by securing a seat in the student union, delivering few intellectual speeches which connect with those students who do not have any goal in life due to a high drop in the job sector. Some catch the eye of a political party and are sheltered by those to make them a future leader of their respective party like Kanhaiya Kumar. Over the course of time we will see Kanhaiya participating in election rallies and delievering fiery speeches and a few years from now Kanhaiya will be roaming in a SUV and those ideas and thoughts who he claims he is fighting for will start looking for another Kanhaiya. It is true that India’s top universities have for ages been the center of mean politics and that students are more interested in joining politics rather than doing researche and scientific innovations. Kanhaiya’s story is of every third Indian student’s story in every third University and when Universities like JNU fail to secure a seat among top Global Universities we start blaming the government for poor funding. The government funds and invests huge sums of money in education and universities but failed to control mean politics among students, professors and administrators, to which all funding of the government is in vain. If professors are interested in sheltering and producing future political leaders and not in the business for which they are getting salaries, India will fail to make any university among the top global universities. The idea of a university is to impart the best training via mode of classroom, lab, tutorials, practices and research but when professors and students are more interested in producing and joining politics, universities will fail to live up to the dream of students, parents and of government — all invest huge sums of money. Ideologies and following ideologies are not bad but at what stake? Do Indian universities like JNU really understand what kind of professionals, researchers and academicians are needed today? Not at all, because they are busy playing the political game. We should all therefore not blame the government, students and parents the next time we see Indian universities like JNU missing from the list of top global universities. 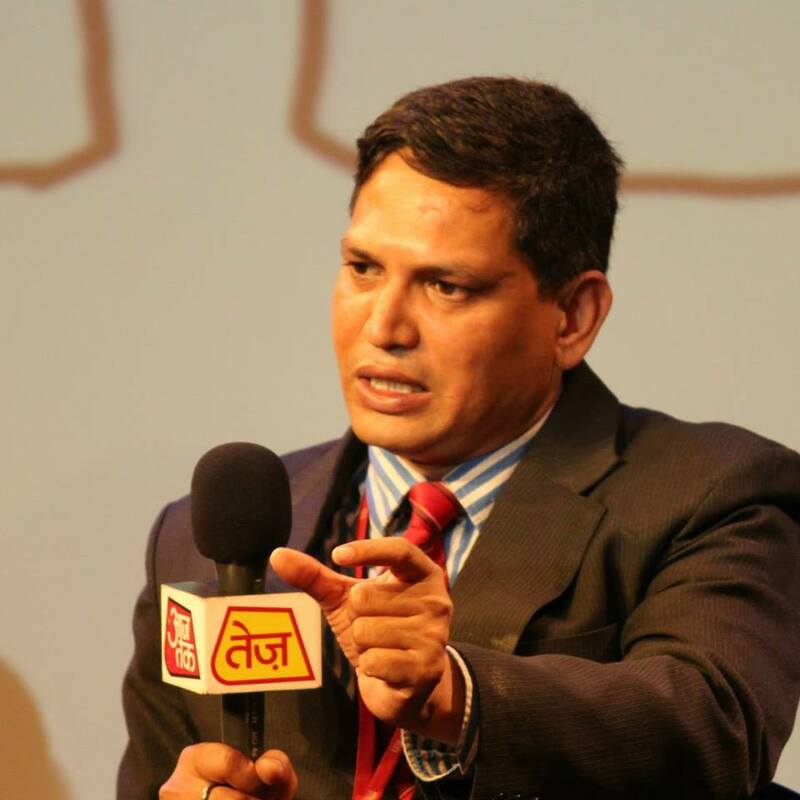 Ratnesh Dwivedi transferred his skills from the Media Industry into his passion for writing, teaching and commenting on Global Affairs. He has seen the changing face of global politics as a budding media professional who regularly comments on changing equations between US ,Middle East and South Asia. He has been writing his comments on the US led strike on Iraq and post war reconstruction in Iraq and Afghanistan. Later he continued his association with President George W Bush as a Charter Member of George W Bush Presidential Center,Texas. Ratnesh Dwivedi is also associated with several other organizations. He is Chapter Member with the Internet Society- A global non-profit organization which works for popularity of the Internet. He is also associated with European Communication Research and Education Association-a premier media research organization in Europe, and is an Individual Member with the Institute of English Studies, University of London, holding a Non-member status with the American Astronomical Society also. He has authored five books. The Story of an Intern is a reportage book of struggle of an Intern in big bad media world, while The Cosmic Mask is a compilation of nine space fiction stories which he self published with an Amazon company. Third and fourth are awarded academic books. His fifth book on US Intelligence and Cost of War was released last year. The writer is absolutely right - universities like JNU have been the hotbeds of divisive and hate politics - practised by both the students and the faculty. Student leaders like Kanhaiya Kumar are more interested in politics than in academics, and they raucously fulminate that there is no tolerance or freedom of expression in the country, even as they exercise it - or rather over-exercise it, and deny the same freedom of expression to the individuals, groups and parties they have visceral hatred for. People like Kanhaiya Kumar who don't have a sense of proportion are deluding themselves that they can wreck and change the entire society as per their pipe-dreams.